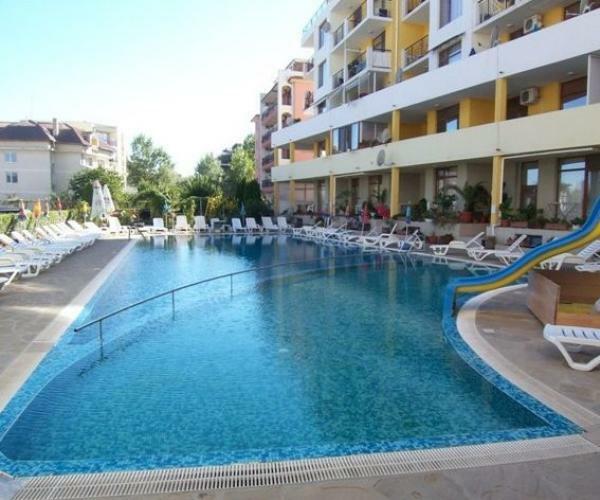 We offer to your this 2 bedroom apartment with a size of 85 square meters with pool views in Sunny Beach. The property is situated on the 3rd floor with a lift. 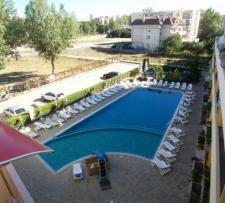 The complex is located in the western part of the resort, near the bus station and 850 meters away from the beach. 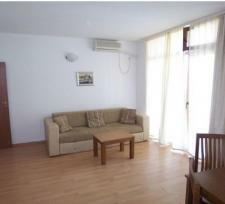 The apartment is very spacious and consists of a living room, kitchen, 2 bedrooms, bathroom and a balcony. The flooring in the rooms is laminate, walls are painted. The kitchen is equipped with hob, extractor, fridge in the living room there is a sofa, table, TV section, washing machine and the bedrooms come with a double bed and bunk beds. Within a short distance from the property there is a bus stop. Close by you can find a bank, a children's playground, a church, a kindergarten and a pharmacy. Additionally, the area provides the following amenities for a pleasant and comfortable living and entertainment: a bar, a cafe, a disco, a hair-dresser, a restaurant, a spa centre, a sports pitch, a food market, a marketplace, a shopping mall and a supermarket. Very low maintenance fee - 5 EUR/sq.m. 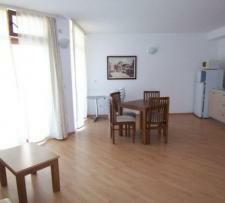 Please kindly send me more details about this Apartment for Sale from Bulgaria.